APCCo. Projects provides project management and advocacy services to clients in the to construction, finance and development industry. Built on values of trust, integrity, strength and ability to deliver, APCCo needed a strong identity to help them establish themselves in the market. With a focus on simplicity and typography supporting a bold wordmark, the brand evokes a sense of confidence and form. 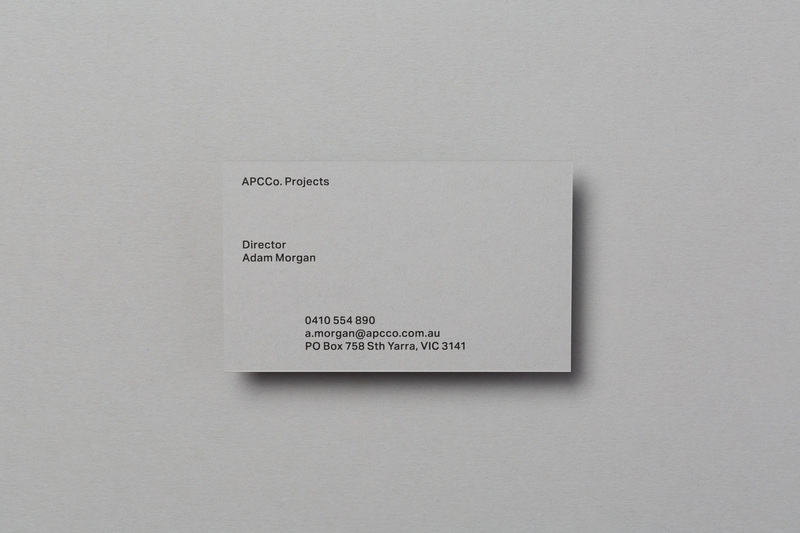 An uncoated, monochromatic paper stock connects with APCCo’s focus on value in their service.